Compete with other Texas schools to win! The first 10 schools to sign-up will get a free targeted Snapchat geofilter designed to promote seat belt safety. The school with the highest geofilter use rate will win a $200 giftcard and be named the Seatbelt Safety Champions! The competition is peer-to-peer education using one of teens’ favorite social media platforms! Once you register below, TDS will design and pay to have the geofilter turned on at your campus on Wednesday, October 24, 2018, during National Teen Driver Safety Week from 8 a.m. – 5 p.m. A few weeks before your team should promote the Snapchat contest and seatbelt safety. 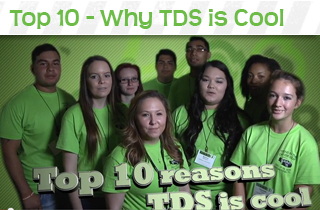 TDS will provide you an easy to print out poster to hang in the halls and classrooms. On the day your geofilter goes live, encourage your peers and administration to take photos and apply the filter then share their pictures with friends on Snapchat. The first 10 Texas high schools or junior highs to signup are automatically registered and will be notified via email. The last day to register is Friday, October 5, 2018 (so don’t wait!). We have met the max number of entries. The contest sign-up is now closed.